Easy to make Golden Graham S’more Bars! Perfect for when you can’t gather around the campfire. 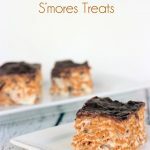 I took my Best Rice Krispie Treat Recipe (EVER) and transformed it into S’mores! S’mores are usually a dessert sandwich made from graham crackers, a big marshmallow toasted over a fire, and a chocolate bar. When I made these treats, I did a bit of modification of the ingredients. The Golden Grahams become the graham crackers. The marshmallows are the heart of the treats still since they keep it all together. 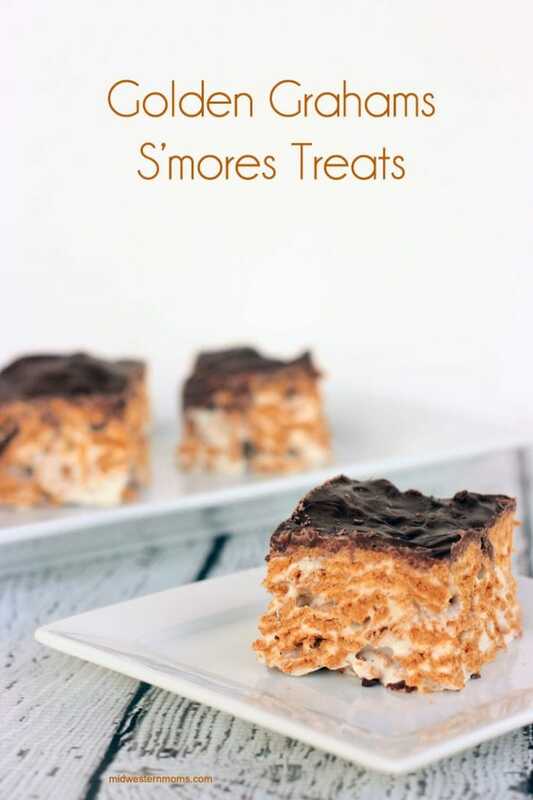 When you can’t get to a campfire to make S’mores, try these easy and tasty S’mores treats. Add the Golden Grahams Cereal. Stir until the cereal is fully coated with the marshmallow fluff. Dump into an 8 x 11 greased dish. Use a greased spatula to spread out the treats and press down just a bit. Melt the dark chocolate wafers in the microwave. Pour the melted chocolate over the top of the treats.